The UK road network has seen an increase in pot- holes and debris, as well as ‘traffic calming’ speed humps and ramps. Due to this, the number of vehicles entering the workshop with damage to their oil sumps caused not just by impacts, but from corrosion to exposed surfaces, has risen considerably. Parts that are particularly susceptible to such problems include the aluminium sump on the 1.9TDI engine, which is widely used across the VAG range, but also the iconic Fiat 500 and the ever-popular Vauxhall Corsa 1.3TD. 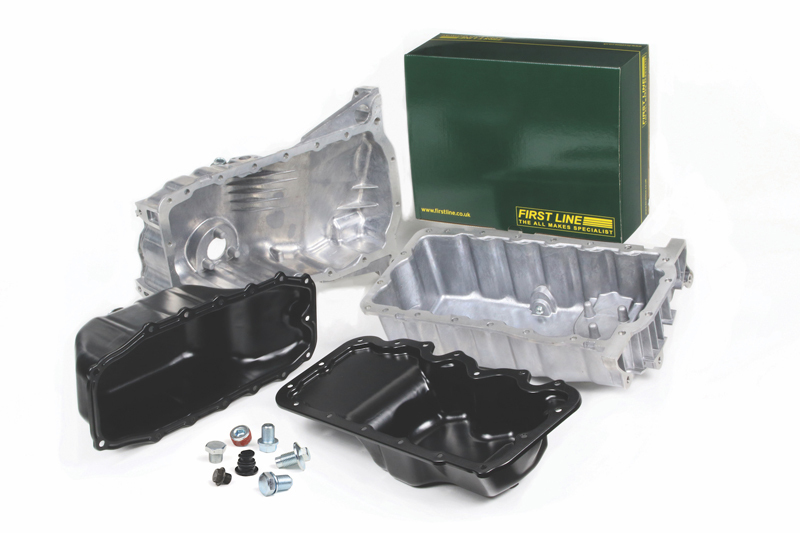 As a result, First Line has a range of 10 oil sumps that cater for these vehicles, as well as several other high demand applications. Although all are fitted with the necessary sump plug, First Line also offers a range of seven sump plugs that can be bought separately, and these include the popular patented plastic plug used for the VW Golf and the Audi A3/A4.